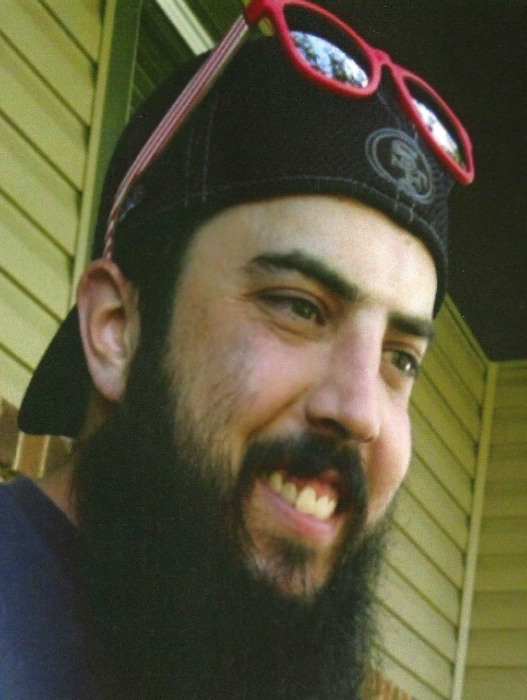 Eric “Boo” Baker age 31, passed away peacefully on September 11, 2018 surrounded by his loved ones. Eric was born September 19, 1986 in Appleton, WI to the late Richard Lee Baker and Paula (Hyler) Baker-Koehler. He resided in the Appleton area for most of his life. He graduated from Hortonville High School in 2005. He enjoyed working at Appvion where he had many friends. He took a lot of grief for being a big 49er’s fan, but never stopped routing for them. Over his short years Eric enjoyed playing cards, gaming with his brothers, and most of all spending time with his friends and family. He is survived by his Girlfriend of seven years Amanda Mihalic, Mother Paula Baker-Koehler and Bonus Dad “Super” Steve Koehler. Brother: Kyle (Malorie) Baker and Nephews Mason, Brody and Asher; Bonus Sister Tracy (boyfriend Cage) Koehler and Bonus Brother Craig (Jess) Koehler: and many loving Aunts, Uncles, Cousins and Special Friends who Eric loved very much. He is also survived by his two dogs Rylee and Izzy who he adored. He was preceded in death by his father Richard Lee Baker, Grandparents Roger & Jerrie Hyler, Art and Mae Koehler, Roberta Driggs and Richard Leland Baker and his Aunt, Valerie Baker. A memorial gathering for Eric will be held from 9-11:00 a.m. on Sat. September 15, 2018 at Valley Funeral Home in Appleton WI. You will always be remembered because, as we all know, you were kind of a big deal. Thanks for keeping us laughing until the end. We will miss you dearly. The family is very grateful for the care he received at St. Lukes Medical Center throughout the last eight months of his life. A special thanks to all the staff that helped care for him.